The privacy of our visitors to www.cavershamcvwriting.co.uk is important to us. 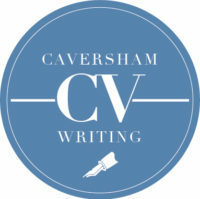 At www.cavershamcvwriting.co.uk, we recognise that privacy of your personal information is important. Here is information on what types of personal information we receive and collect when you use and visit www.cavershamcvwriting.co.uk, and how we safeguard your information. We never sell your personal information to third parties. Caversham CV Writing (the “Company”) respects the privacy concerns of the users of its website, Caversham CV Writing and the services provided therein (the “Site”). The Company thus provides this privacy statement to explain what information is gathered during a visit to the Site and how such information may be used. This privacy notice provides you with details of how we collect and process your personal data through your use of our site https://www.cavershamcvwriting.co.uk including any information you may provide through our site when you purchase a product or service. THE COMPANY is the data controller and we are responsible for your personal data (referred to as “we”, “us” or “our” in this privacy notice). o Identity Data may include your first name, maiden name, last name, username, marital status, title, date of birth and gender. o Contact Data may include your billing address, delivery address, email address and telephone numbers. o Financial Data may include your bank account and payment card details. o Transaction Data may include details about payments between us and other details of purchases made by you. o Technical Data may include your login data, internet protocol addresses, browser type and version, browser plug-in types and versions, time zone setting and location, operating system and platform and other technology on the devices you use to access this site. o Profile Data may include your username and password, purchases or orders, your interests, preferences, feedback and survey responses. o Usage Data may include information about how you use our website, products and services. Automated technologies or interactions: As you use our site, we may automatically collect Technical Data about your equipment, browsing actions and usage patterns. If so, we collect this data by using cookies, server logs and similar technologies. We may also receive Technical Data about you if you visit other websites that use our cookies. o Technical Data from the following parties: Facebook, Twitter, Linkedin, Instagram. o search information providers [such as Google based outside the EU. o Contact, Financial and Transaction Data from providers of technical, payment and delivery services such as Paypal based outside the EU. o Identity and Contact Data from publicly availably sources such as Companies House and the Electoral Register based inside the EU. o Where we need to perform the contract between us. Generally, we do not rely on consent as a legal ground for processing your personal data, other than in relation to sending marketing communications to you via email or text message. You have the right to withdraw consent to marketing at any time by emailing us at contact@cavershamcvwriting.co.uk. We may process your personal data for more than one lawful ground, depending on the specific purpose for which we are using your data. Please email us contact@cavershamcvwriting.co.uk if you need details about the specific legal ground we are relying on to process your personal data where more than one ground has been set out in the table below. o in each case, you have not opted out of receiving that marketing. You can ask us or third parties to stop sending you marketing messages at any time by emailing us contact@cavershamcvwriting.co.uk. o Service providers who provide IT and system administration services. o Professional advisers including lawyers, bankers, auditors and insurers who provide consultancy, banking, legal, insurance and accounting services. o HM Revenue & Customs, regulators and other authorities based in the United Kingdom and other relevant jurisdictions who require reporting of processing activities in certain circumstances. o Third parties to whom we sell, transfer, or merge parts of our business or our assets. o Where we use providers based in the United States, we may transfer data to them if they are part of the EU-US Privacy Shield which requires them to provide similar protection to personal data shared between the Europe and the US. Please email us at contact@cavershamcvwriting.co.uk if you want further information on the specific mechanism used by us when transferring your personal data out of the EEA. o Request access to your personal data. o Request correction of your personal data. o Request erasure of your personal data. o Object to processing of your personal data. o Request restriction of processing your personal data. o Request transfer of your personal data. o Right to withdraw consent.